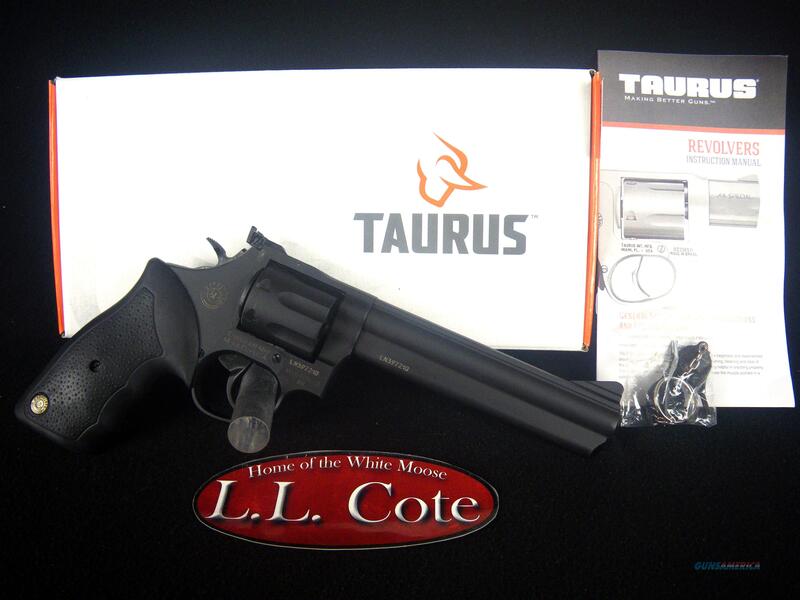 Description: You are bidding on a Taurus Model 66 in 357mag with a 6" barrel. These revolvers are a longtime favorite of security personnel and perfect for Homeland Defense Forces. With a choice of .38 Special +P (Model 82) or .357 Magnum (Model 65), this medium frame, 6-shot revolver features comfortable rubber grips and a deep, lustrous finish. With fixed sights and a custom Single Action/Double Action trigger for improved accuracy and speed, the 65 and 82 are the perfect partners for whatever trouble lurks around the corner. For even more firepower, the Model 66 steps up to the plate with an impressive 7 rounds of .357 Magnum. Displayed images are stock photos. Any questions please feel free to ask (our phone number is in the additional information tab above).